The roads today are rivers of beige, silver, and black. Unique, bold colors have been replaced by Desert Sand Mica. 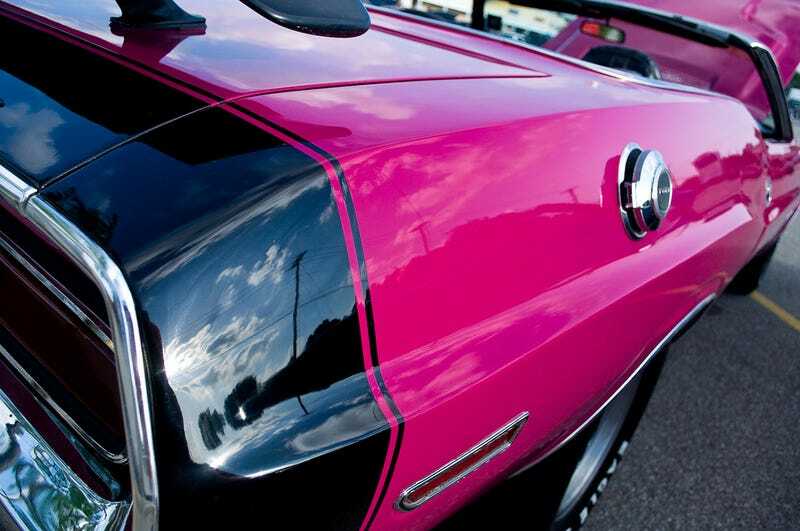 With your help, we've compiled the ten most underrated automotive colors to brighten your day. What&apos;s The Most Underrated Automotive Color? Why It's Underrated: There are so many shades of blue, I don't even know where to start. There's Laguna Seca Blue, Interlagos Blue, World Rally Blue, Electric Blue, Grabber Blue, the list is endless. You don't often see cars painted bright blue; people often opt for the more subtle midnight blue or blue ribbon metallic. However, the brighter WR Blue on this Subaru WRX STI can differentiate your car from the multitudes of white, silver, black, and beige vehicles roaming the land. This blue also has a lot of history and is famous for being used on the works Impreza rally car, much like the Gulf livery's blue is instantly recognizable among enthusiasts. Why It's Underrated: Nothing is as quirky and strange as bright green on a vehicle. Even green is rare on cars. The most likely color seen on a car is a deep forest green, maybe a drab olive green, and sometimes British Racing Green. Adults, thinking they're mature, don't like to go for bright colors and would rather blend in. I say forget that. If you're going to drive something as quick as the Porsche 911 GT3 RS, why not go all out and get the Signal Green paint job. What? It'll attract the attention of police you say? Pish posh, they'll be too busy looking out for that red convertible sports car to even care to find out what the green blur was. Why It's Underrated: Arancio Atlas is the shade of orange that's been painted on Lamborghinis since the Miura. Any shade of orange is tough to pull off, which is why people often shun it. However, orange can look spectacular on the correct vehicle. Picture an orange Honda Civic and the only thing you feel is embarrassment for the owner. Now take a look at the orange Lamborghini Diablo SV and everything just falls into place. You might say it's the ostentation factor inherent to Lamborghinis and Porsches that makes the color palatable on Diablo and 911 GT3. Picture the Boss 302 in Competition Orange or the Charger 440RT in Gomango. It just works on some cars and when it does, it's beautiful. Why It's Underrated: We've been indoctrinated to believe ports cars are meant to be bright red, probably by Ferrari. Though I am a big fan of Rosso Corsa, a dark red Ferrari is more subtle and unexpected. That's exactly why this car is so underrated. The other, brighter reds are shouting, "Look at me! Look at me!" It takes a person with a discerning eye and a lot of confidence to choose a dark red sports car over a red one. Why It's Underrated: Unlike other colors that have deep racing heritage, white doesn't get the attention it deserves. When it comes to sports cars, white is overlooked. Whites not a color you say? But it is! It's every color in one. Traditionally used by Japanese racing teams, we see the beauty of the Whitest White on this LFA. All the lines become clearer and crisper and you can truly see the LFA's muscle. Why It's Underrated: Silver has overshadowed dark gray somehow, and the number of drab, boring silver vehicles on the roads rises daily. The Corvette ZR1's Cyber Gray is like a thundercloud of speed and fury. Dark gray is not silver, but rather a more passionate color. There is a refined anger in dark gray that shows up best on the ZR1. Why It's Underrated: Paint? Where we're going we don't need paint. Nearly every vehicle on the road today needs paint to keep its body panels from rusting and sometimes people buy cars because of the paint job. The Delorean, on the other hand, is made of corrosion-proof stainless steel, so it doesn't need any paint at all. You know that stainless steel looks good in your kitchen, but it also looks good in your garage and on the road. Why It's Underrated: Purple is not typically an optional color for many vehicles. Can you think of a new car for sale in purple that's not a muscle car? There's the Mazda3. The likelihood of seeing a purple car on the road is very low. Enter the Plymouth ‘Cuda. It came in an array of colors spanning the rainbow. Plum Crazy best describes the ‘Cuda and is a fitting color for a vehicle as insane this. The new version's a little dark, but still awesome. Why It's Underrated: Somehow, through the ages, pink has come to be a girl's color. Your baby boys are wrapped in a blue blanket, b for boy, and your baby girls are wrapped in a pink blanket, p for pretty! No one expects you to wrap your snarling 440 Challenger in Panther Pink. That's what's awesome about it, that juxtaposition between thunderous manliness and the color pink. Why It's Underrated: Beige is boring, Brown is sublime. It's the difference between "The Entertainer" and "Metamorphosis 5." Imagine speeding down the autobahn, listening to techno, in your brown, maybe bronze, Porsche 911. Brown has a retro feel to it that returns us to a simpler time when it was just you, the car, and the road. If you love brown cars as much as we do, check out The Brown Car Blog.